Part of creating a memorable wedding is deciding on the reception menu. Over the next few weeks we’ll feature different menu ideas that are not only memorable, but will keep your guests fed and happy. For this first installment, I’m introducing the “full” tea. 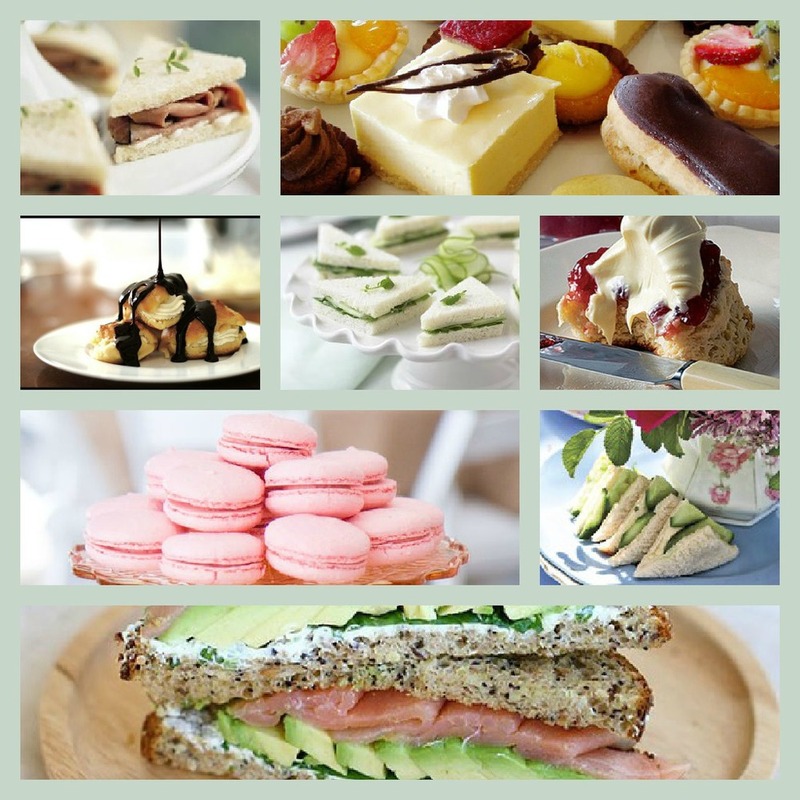 Much like afternoon tea with tea and sweets, a full tea incorporates more savory items, such as finger sandwiches, soups, salads, and cheese with crackers. It’s a heartier meal, but not too heavy. It’s great for small gatherings, budget-friendly weddings, and early receptions. It can also be served buffet style, so everyone gets exactly what they want. Set up small tables for groups of four. Serve a variety of teas that pair well with the food: seafood, chicken, and salads go well with green tea. Black teas taste best with hearty desserts, chocolate, meats, and spicy dishes. Place food on three-tiered trays, starting at the bottom with savories and sweets on upper tiers. Don’t have matching dinnerware or good China? All the better! Find mismatched teapots, teacups, plates, and saucers at thrift shops or online. Have drink options besides hot tea, like juices, water, and of course, champagne.